Famous ballad singer K.will successfully finished his fan meeting. K.will had a fan meeting <LETTER FROM K.WILL> at the Grand Theater of the Arts Center in Daehangno, Hongik University, Seoul, on the 16th. He hosted ‘Letter From K.wil’ to make happy memories with fans for about 180 minutes. The fan meeting was held under the concept that K-Will read a letter he wrote with a sincere heart to his official fan club, who gave him unlimited support for 12 years. In particular, under the special progression of the announcer Jang Sung kyu, who is known to be a close friend of K.will, K.will shared precious time by giving beautiful songs to fans and communicating them warmly under the themes of paintings, music letters, video letters and Secret letters. K.wil started the opening with a heartfelt video letter, opened the fan meeting's roar with his appealing voice with the song "Let me hear you say," the first part of his fourth full-length album. K.will then spread pleasant energy to the concert hall, chatting with fans with "TMI TIME", which describes fans' curiosity as "picture letter," and "anything that solves small worries." he also had time to deliver a surprise letter written by fans right before the fan meeting. K.will expressed gratitude to his fans, reading each of the three poems' letters with their affection and pleasant charm. K.will sang some of the most popular songs that had been loved by music fans, including his own song "Wake," "Hello Autumn," "Our Song" and "You don’t know love" while the soft, sweet vocals completely mesmerized all the fans on the scene. 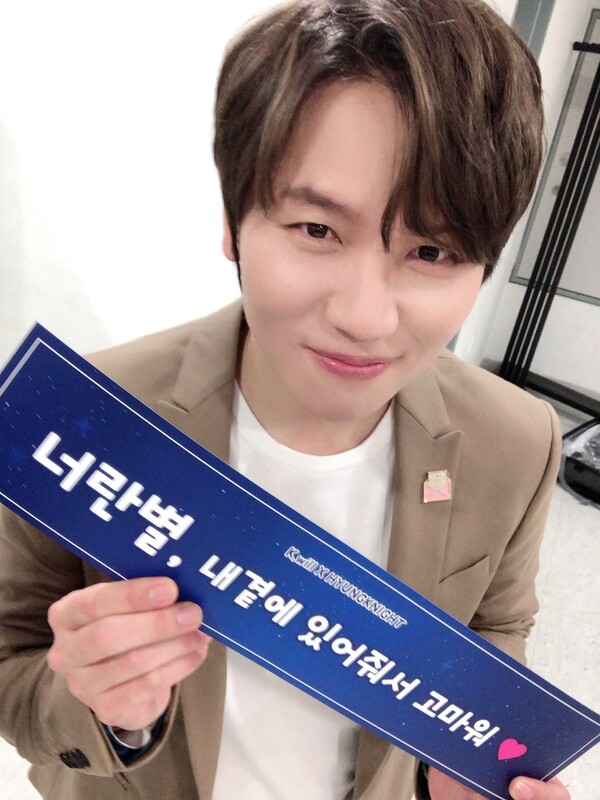 After successfully completing his second fan meeting in his life, K.will recently celebrated the 12th anniversary of his debut, further proving his unrivaled presence in "The Believing and Listening Ballader." Based on his outstanding singing ability, he released numerous hit songs, and also performed as a singer-songwriter, participating as a co-producer in his fourth full-length album, Part II [Ut; Mood Indigo] last year. Also, she has been performing well in dramas, OST, concerts and musicals, recording constant growth. K.will plans to use the momentum to engage in more active music activities.